Providing Fire and EMS services to 90 departments spread across three states, the Southwestern New Hampshire District Fire Mutual Aid (SWNHFMA) is one of the largest and most complex public safety operations of its kind. Now for the very first time its firefighters and dispatchers are backed by a fully integrated emergency response system, delivered and implemented in just six months by Symposium Technologies. 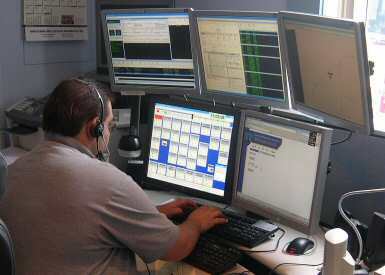 From the dispatch center in Keene New Hampshire, SWNHFMA dispatches over 450 pieces of apparatus. Running the gamut from full-time to composite to all-volunteer, each of the 90 member departments are interconnected by detailed mutual aid agreements that outline specific procedures for response and coverage across the entire district. Up until recently dispatchers had been forced to handle this highly complex process manually, as no computer system had the flexibility and sophistication required to dispatch the detailed Standard Operating Procedures (SOPs) that form the backbone of the district’s response process. “This was a huge challenge for us”, said SWNHFMA Director Phil Tirrell, “because of the size of the territory we cover, the number of departments, and the complex mutual aid agreements involved, we felt we could benefit from a computer aided dispatch system. But until we were introduced to Symposium, we simply couldn’t find a system that had what it took to get the job done”. Symposium’s EME CAD was built from the ground up to handle the needs of multiple agencies sharing one dispatch, including full-time, composite and volunteer departments. While this flexibility was crucial to the Southwest New Hampshire project, there was much more. In addition to integrating the district’s SOP’s, each department’s call types, response rules, all the mapping for the tri-state area, and a host of other client-specific data, the new system also features full two-way integration with 76 separate FIREHOUSE® RMS installations and full in-vehicle mobile data, featuring mapping, GPS, real-time two-way access to FIREHOUSE®.